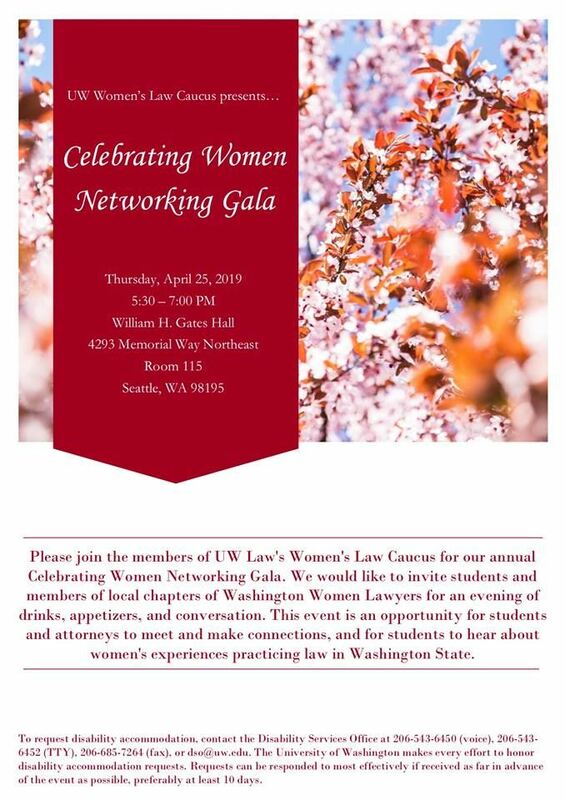 Please join the Clark County/St Helens Chapter of the Washington Women Lawyers at its upcoming CLE event. The second CLE event of 2019 in our series “Motivation to Make Things Better For You and Those Around You” will take place on Monday, May 6. Our speaker will be Jill Schmid from Sound Jury Consulting, who will present on the Gender Communication Continuum. Ms. Schmid will discuss traits traditionally associated with the “masculine” and “feminine” ends of the spectrum that can increase one’s communication effectiveness and overall credibility. Topics include: socialization and its impact on our communication patterns, society’s gender expectations, factors of credibility, and powerless vs. powerful communication traits. WHEN: Monday, May 6, 12:00 p.m. - 1:00 p.m. LUNCH: Lunch will be generously provided by Kurtz & Paradis, PLLC. RSVP: Please send your RSVP to meghan.williams@millernash.com by Thursday, May 2. WWL membership is not required to attend. CLE CREDIT: We will be applying for CLE credit, the application for which will be generously paid for by Miller Nash Graham & Dunn LLP. Please join KCWWL as it honors Washington's judges and those who advocate for women and minorities at this special annual event. Registration/Social from 11:30 a.m. to 12:00 p.m.
Luncheon/Program from 12:00 p.m. to 1:15 p.m.
01/11/2018 Snohomish County WWL - "Celebration Donation Event"
10/14/2017 2017 WWL Annual Event - I AM IN! Included. Invested. Involved. 03/02/2017 Clark/St. Helens Chapter - "Work-Life Balance": What Balance? 09/26/2016 Snohomish County WWL presents "Lunch with the Commissioners"
07/24/2013 Seventh Annual Minority Student Summer BBQ. 04/19/2013 21st Annual Myra Bradwell Award Ceremony and Reception. 02/28/2013 WWL Legacy Project "Her Day in Court"
07/25/2012 WWL Legacy Project "Her Day in Court"
05/06/2012 WWL Legacy Project "Her Day in Court"
03/30/2012 Annual Diversity Reception at Gonzaga University School of Law. 02/11/2012 The 25th Anniversary of the United States v.